Those who follow the technology industry will know that ViewSonic has long been associated with monitors, both CRTs and more recently LCDs. ViewSonic has done some interesting things with the ViewBook Pro. It's got a great screen, has a comprehensive (sometimes eclectic) feature set and offers an integrated optical drive when others don't. It's let down, however, by a slightly unrefined chassis and a poor keyboard. A little more RAM would be nice, too. The ViewSonic ViewBook Pro is absolutely packed with features that you don't expect to ind in the ultraportable range at this price. This is one of the best machines in the ultraportable class. Having been initially dubious at Viewsonic’s obvious inspiration with the VNB131, we’ve ended up surprisingly impressed by the notebook. Light and cool-running, the VNB131 nonetheless punches above its weight when it comes to performance, and the screen is particularly impressive. Throw in decent battery life and you’re looking at a strong ultraportable contender when you consider the $949 price. 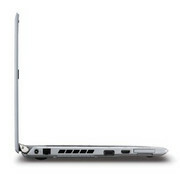 Loading up laptops with next-gen gimmicks is always a surefire way to garner the attention of the world’s technorati. And that’s just what the Viewsonic ViewBook Pro VNB131, with biometric scanning and even a demobiliser button slapped on the side. But do these original extras make it worth handing over for? 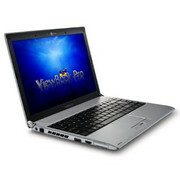 Read our definitive Viewsonic ViewBook Pro VNB131 review to find out. A decent machine, but nowhere near as cool and clever as ViewSonic would have you believe. For a company with little experience making notebooks, we were impressed by the design and features of the $949 ViewSonic VNB131 ViewBook Pro. We especially like the 16:10 screen and integrated security alarm. However, there are longer lasting ultraportables that offer more bang for your buck. Although it’s designed for general consumers, the ASUS UL30A lasts nearly twice as long on a charge and costs about $250 less. Mock-metal plastic isn’t unusual in the sub-£1000 laptop price band but be aware that the ViewBook is trading on the prestige of a certain laptop hewn from more durable aluminium. Despite pretensions of mixing with the upmarket ultraportables, the ViewSonic ViewBook 130 is after all a relatively affordable thin ’n’ lightish notebook, and one that remains cool and mostly quiet in use. 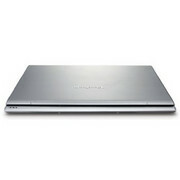 Its slim chassis is built from strong but light aluminium, it comes with a bright 13.3in widescreen display, spaced-out keys and a multi-touch trackpad. 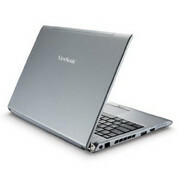 The specifications of the computer are reasonable: it uses a low-voltage dual-core processor, which helps increase battery life, with 2GB of memory and, a 320GB hard disk, and it comes with the Windows 7 Home Premium operating system. Nicely portable computer, with respectable battery life and good looks. Viewsonic: Bekannt ist diese 1987 gegründete nordamerikanische Firma vor allem für Displays/Monitore und Projektoren. 2009 versucht das weltweit vertretene Unernehmen mit Netbooks einen neuen Produkt-Markt zu erschließen. 70.17%: Diese Bewertung ist schlecht. Die meisten Notebooks werden besser beurteilt. Als Kaufempfehlung darf man das nicht sehen. Auch wenn Verbalbewertungen in diesem Bereich gar nicht so schlecht klingen ("genügend" oder "befriedigend"), meist sind es Euphemismen, die eine Klassifikation als unterdurchschnittliches Notebook verschleiern.